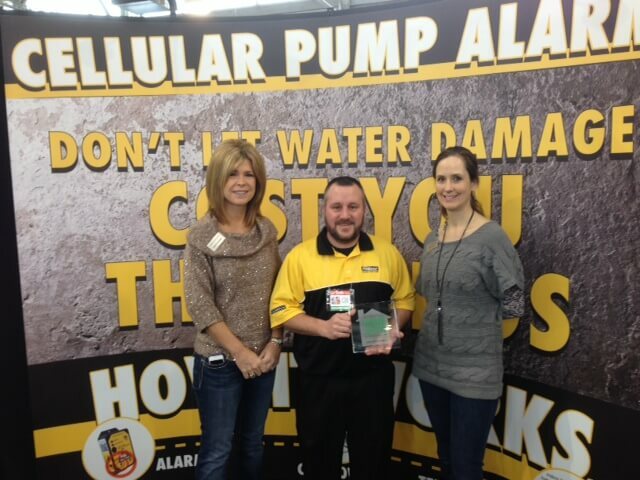 Our Cellular Water Alarm was on showcase at the recent Indianapolis Home Show. This 10 day event brings in more than 94,000 attendees and houses more than 600 booths. As visitors exited the building they were asked to vote on this years Hottest New Product. Visitors have spoken, the Cellular Sump Pump Alarm has been crowned this years Hottest New Product at the 2013 Indianapolis Home Show. We’d like to thank everyone that stopped by our booth and special thanks to the PitBoss team that manned our booth.